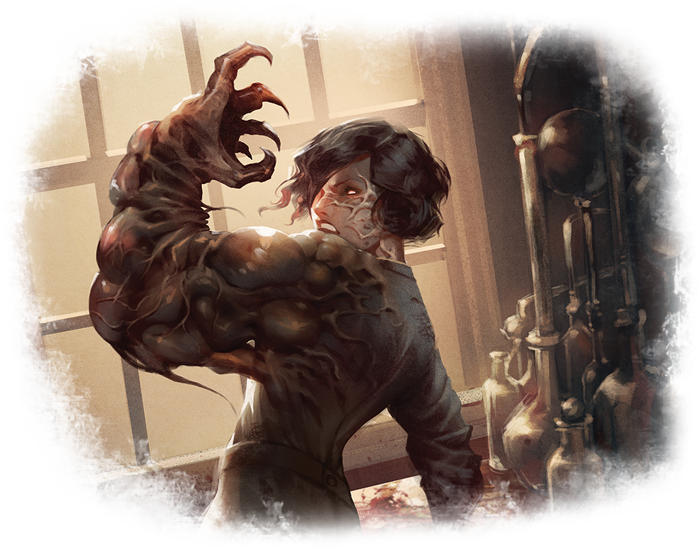 Throughout your adventures in Arkham Horror: The Card Game, you have unraveled eldritch mysteries, fought impossible monstrosities, and undone the plots of Ancient Ones as they threatened to destroy the Earth and all that you hold dear. You have stared into the void and lived to tell the tale. Now, you are invited to return to a place nestled deep in the New England countryside to test your strength against the most terrible trials. Think you can handle it? Today, we're talking with Matt Newman to discuss his first designer challenge! For today’s designer journal, I am throwing down the gauntlet. Simple—just play the game as described below! There's no need to record your playthrough or send us evidence of your hardships. (Although you may feel free to do so!) Posting a session report online, however, is a great way to collect feedback and advice if you struggled, or to boast about your triumph if you did well! This first designer challenge is simple. Just kidding—it’s an absolute nightmare! 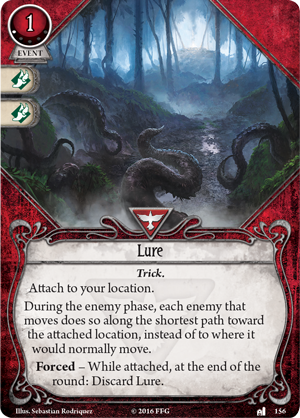 Invisible Broods of Yog-Sothoth have escaped into the wilds of Dunwich, and you must stop their rampage… but there are far more of them than you could have possibly anticipated, and you are woefully unprepared. 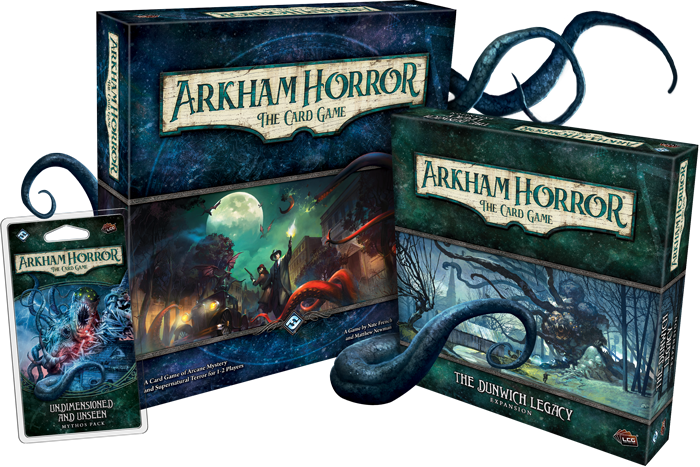 To play this challenge, you will need one copy of the Arkham Horror: The Card Game Core Set, The Dunwich Legacy, and the Undimensioned and Unseen Mythos Pack, as well as one investigator deck per player. You must play the Undimensioned and Unseen scenario in Standalone Mode on Hard difficulty, using the Standalone Mode rules on page 19 of the Rules Reference to create your investigator deck(s). 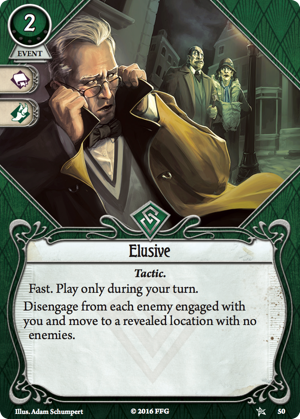 You must use the rules for Standalone Mode in the Campaign Guide for this scenario to determine how the scenario is set up. 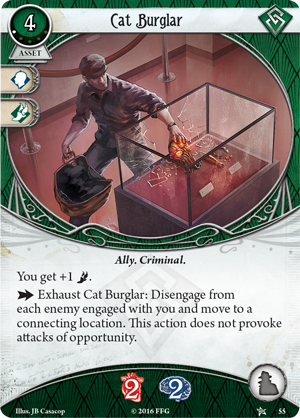 Assemble the chaos bag using the following tokens: 0, 0, 0, -1, -1, -2, -2, -3, -4, -4, -5, Skull, Skull, Cultist, Tablet, Elder Thing, Auto-fail, Elder Sign. 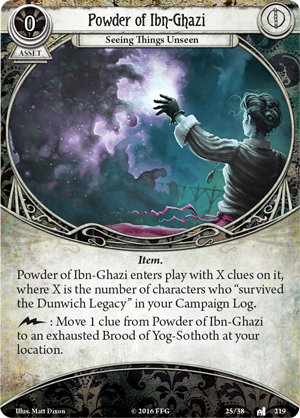 Do not include the Powder of Ibn-Ghazi (Blood on the Altar, 219) in any player’s deck. Do not take any additional weaknesses as instructed in this scenario’s Setup. 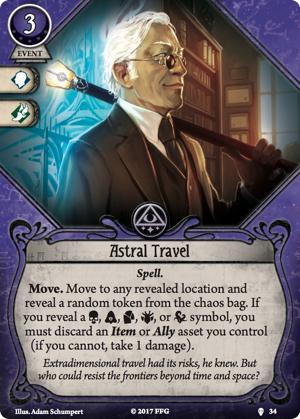 Dr. Henry Armitage has been sacrificed to Yog-Sothoth. 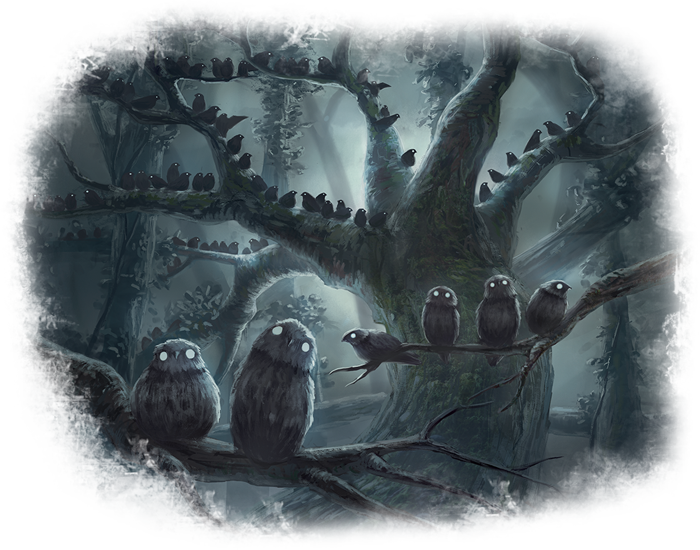 Slay as many Brood of Yog-Sothoth as you can! 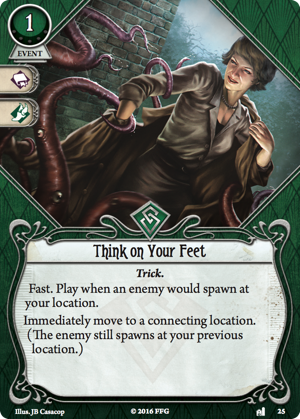 Each designer challenge for Arkham Horror: The Card Game uses the system of Ultimatums, first debuted in last year’s Invocation Kits. 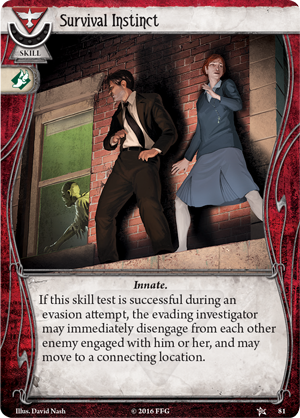 Each Ultimatum introduces a new rule or restriction that either alters the way decks are built or the way the game is played—all with the goal of making things more difficult for the investigators! For these challenges, the individual Ultimatums have been carefully curated to create an experience that will challenge even the hardest of veterans. 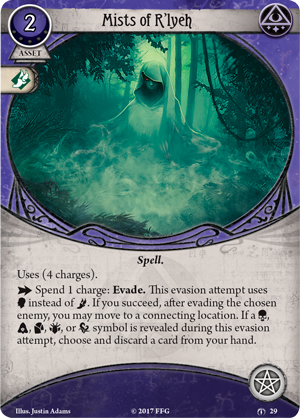 Ultimatum of Invisibility – Each Brood of Yog-Sothoth (Undimensioned and Unseen, 255) gains the Elite trait and is immune to all player card effects except for the effects of Esoteric Formula (Undimensioned and Unseen, 254). 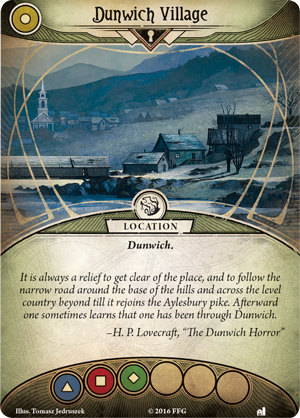 Ultimatum of Multiplication – Instead of the standard setup instructions, begin the game with all five Brood of Yog-Sothoth cards in play: one in each of the five locations besides Dunwich Village (Undimensioned and Unseen, 242). 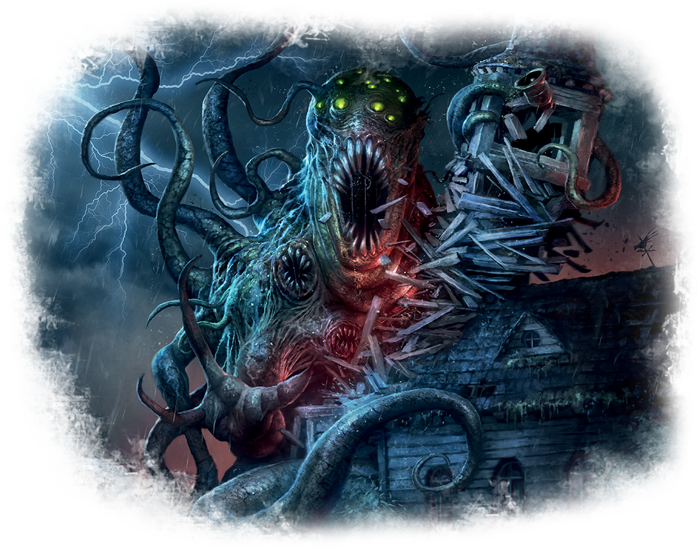 For the remainder of the scenario, whenever an effect would cause you to spawn a set-aside Brood of Yog-Sothoth, you must instead place one doom on the current agenda. 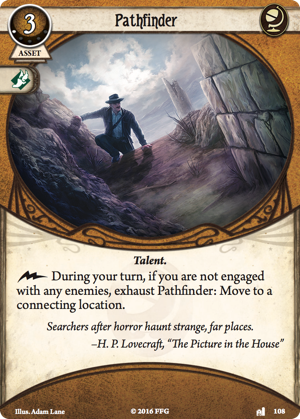 Ultimatum of the Keeper’s Challenge – Investigator decks cannot include any of the following cards: Elusive (Core Set, 50), Astral Travel (The Path to Carcosa, 34), Cat Burglar (Core Set, 55), Mists of R'lyeh (The Forgotten Age, 29), Lure (The Essex County Express, 156), Think on your Feet (The Dunwich Legacy, 25), Shortcut (The Dunwich Legacy, 22), Shortcut (The Pallid Mask, 232), Survival Instinct (Core Set, 81), Survival Instinct (Undimensioned and Unseen, 235), or Pathfinder (The Miskatonic Museum, 108). 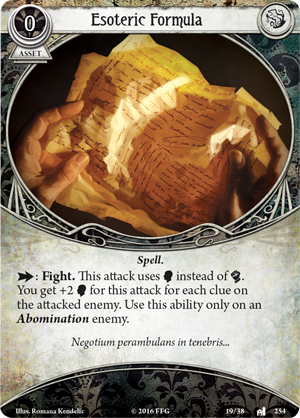 Ultimatum of Agony – When assigning damage or horror from a single source, investigators must assign as much damage or horror as possible to a single card before any excess damage or horror may be assigned to a different card. If it sounds like this is going to be tough, you’re right! But if you’re up for proving your deckbuilding skills and tactical prowess, this designer challenge is the perfect avenue to secure bragging rights. Try your hand at beating “Then It Multiplied” and be sure to post your story on social media or on our forums! 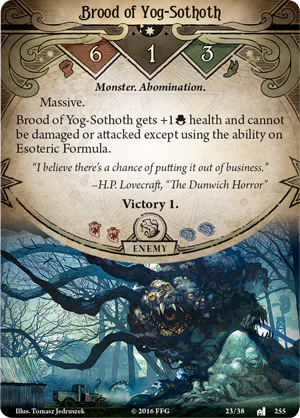 How many Broods of Yog-Sothoth can you defeat? Will you be able to resign before being defeated? 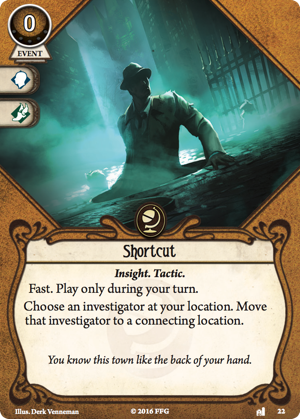 Which investigators will you use, and how will you form your strategy? If you enjoy this designer challenge and you want to see more, let us know! The challenge has been issued. What do you say—are you ready to face the terror and nigh-impossible odds that stand against you? 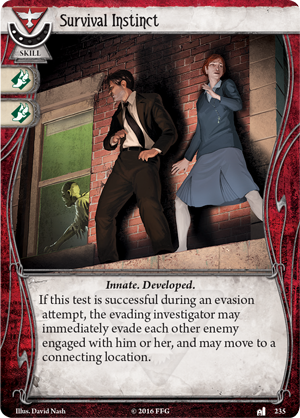 Assemble your team of investigators, hop on the train to Dunwich once more (or maybe take a car this time), and prepare for a challenge unlike anything you’ve seen before! 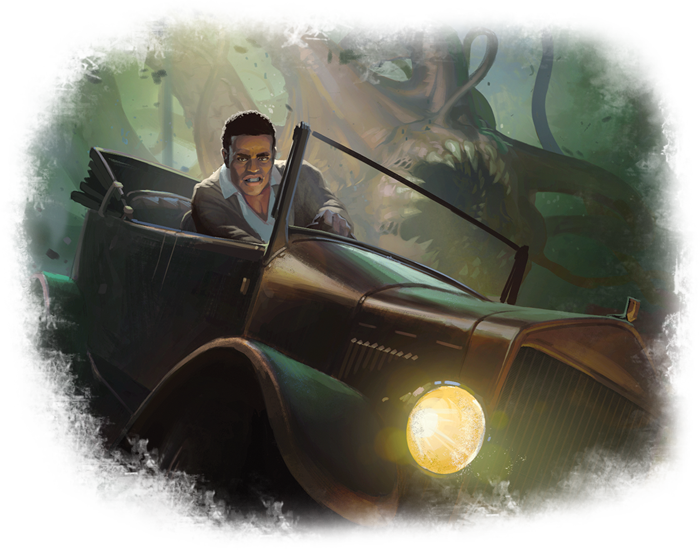 To take on “Then It Multiplied,” you can pick up your own copies of the Arkham Horror: The Card Game Core Set (AHC01), The Dunwich Legacy (AHC02), and Undimensioned and Unseen (AHC06) at your local retailer today or on the Fantasy Flight Games website!